The Russian president recently took a small holiday in the wilderness of the Siberian taiga, and political analysts believe this is how Putin is trying to set an example to exhort Russians to vacation in their own country. It’s also a chance for him to demonstrate his virility. On March 2, Russian presidential spokesperson Dmitri Peskov told journalists that his boss is relaxing for a few days in Siberia’s forests, following a work visit to Krasnoyarsk (2,500 miles east of Moscow). President Vladimir Putin stayed 240 miles from the nearest human settlement in "expedition conditions," said Peskov. After two nights in the taiga, the president returned to Moscow on March 3. This was not the first time the Russian president relaxed far from civilization. On Oct. 7, 2014, on the occasion of his birthday, Putin took a day off and isolated himself in Siberia. He said that he walked almost 6 miles in the mountains, and afterwards every part of his body was aching. Besides walking, Putin loves to fish, and he has gone fishing several times with Prime Minister Dmitri Medvedev and Defense Minister Sergei Shoigu. One of the fishing outings was historic - on August 17, 2011, as they were fishing, the politicians decided to switch positions. Putin said he would run for president, and Medvedev would return to being prime minister. (In 2008-2012, Putin was prime minister and Medvedev was president). During another fishing trip in 2013 Putin caught a 46-pound pike, reported the Kremlin press office. The president was happy and even kissed the trophy, saying that he fell in love with fishing after that trip. Talking about the president’s hobbies, Dmitri Peskov said his boss loves to swim and play hockey, "and does so whenever there is an opportunity, on a weekly basis." Putin is particularly fond of ice hockey. Sometimes he goes onto the ice during matches of the Night Hockey League; the NHL, an amateur league was founded in 2011 on Putin's initiative. In 2015, the president even scored seven goals in the league's gala match, in which he was a member of the NHL all-star team." Downhill skiing is another way Putin loves to unwind from state duties, and he especially enjoys skiing down a mountain with a foreign leader. His last companion was Kazakh President Nursultan Nazarbaev, and they took to the slopes when Putin visited Alma Ata. Experts believe Putin's activities are a subtle message to the nation. Despite his age (64), the president is still full of vigor. "This is something that our electorate certainly likes; everyone likes a healthy and strong president," said political analyst Dmitri Tulchinsky, as cited by Kommersant FM radio. 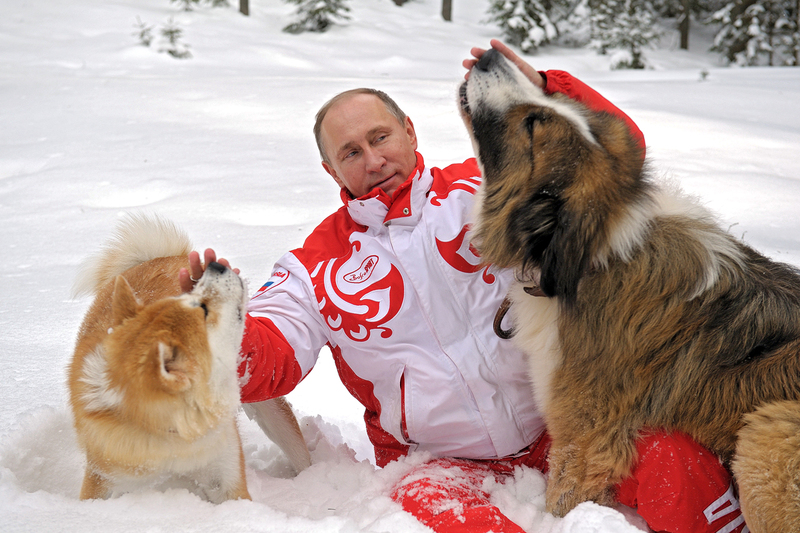 Regardless of how he relaxes, Putin prefers to do it in Russia, and he usually skis near Moscow or in Sochi. The epic pike was caught in a lake in the Republic of Tuva (2,200 miles east of Moscow). Putin has visited this republic frequently, which in general is not a big draw for even Russian tourists. It was there in 2007 that Putin took Prince of Monaco Albert II, and in 2009 he was there when his famous photograph riding a horse barechested was taken. In January, Tuva Governor Sholban Kara-ool even proposed holding the upcoming meeting between Putin and Trump in his region, and said that, "in the untouched taiga wilderness Putin and Trump will be able to find common ground and be honest with one another." Political analysts note that Putin's outings are also a call for Russians not to vacation abroad, but instead to spend their free time inside Russia. "Putin promotes various vacation destinations that even Russians are unfamiliar with, not to mention for foreign tourists; he openly promotes Russia as a tourist brand," said Dmitri Orlov, general director of the Agency for Political and Economic Communications. At the same time, experts said the president's vacations are his own choice and not the invention of Kremlin spin doctors. "No one would force this on him," said Alexei Mukhin, head of the Center for Political Information, adding that Putin's love for extreme sports sometimes creates problems for his assistants. "Putin's curiosity and interest in extreme forms of vacation is a big headache for our special services," said Mukhin, adding that it’s not easy to guarantee security for the president when he walks around the taiga. But in any case, Putin's entourage must reconcile with the fact that the president decides how and where he will spend his free time.